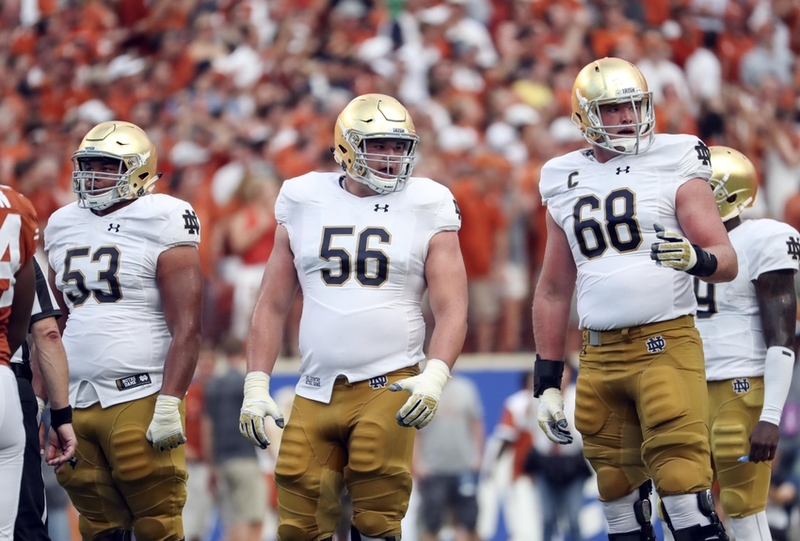 Notre Dame’s Quenton Nelson is one of the more physical prospect eligible for the 2017 NFL Draft. His pass protection could use some work, but he has an elite anchor. He is able to absorb contact, hold his ground and keep pressure out of the quarterbacks face. The area where he needs some work is protecting the gaps. Nelson doesn’t have great lateral quickness which makes him susceptible to quicker pass rushers. Some of these issues are related to his less than ideal awareness. There are times where Nelson doesn’t immediately identify the most immediate pass rush threat. This leads to a clear path to the quarterback from time to time. The small issues in pass protection are correctable through coaching and Nelson keeping his head on a swivel. He’ll maintain a high draft status based on his raw power, size and nastiness. There are plenty of teams in the NFL that covet his ability to move defenders off the line of scrimmage.